The picks and round one standings for the year's 2nd major are on the site. We chose a mere 22 golfers. Justin Rose is the favorite, picked by all but one player. D.J. is next in line, on 15 teams. J.T. shows up 14 times. Rickie Fowler and Jason Day are on 10 teams each. Tiger got the nod 9 times. Eight of us like Rory. Seven players thought Phil could finally win one of these things. Six of us thought Jon Rahm could keep his temper for 4 days on a U.S. Open course. Defending champ Brooks Koepka is the only 4-bagger. Stenson, Spieth and DeChambeau are treys. The only deuces are Matsuyama and Reed. Seven unique picks. Jordie leads with 2. Oliver, Andrew, Brian T., Mikes A. and D. have one each. 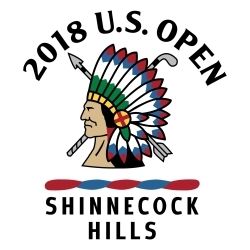 The remaining eleven of us will not find U.S. Open glory through a unique pick.